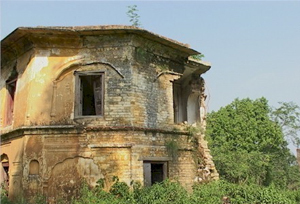 Nadaun fort is better known as Amter-Nadaun fort, which was once the royal residence of Raja Sansar Chand. Perched atop a hill, this edifice attracts visitors by its impeccably done wall paintings and frescoes. Unfortunately, the fort is in a dilapidated condition but it still manages to put visitors in awe with its exquisite architecture. It is an ideal place that reflects the rich history of Raja Sansar Chand and the Katoch dynasty.